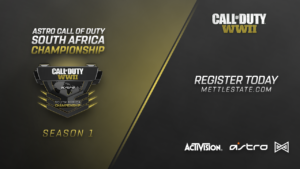 The long-awaited Mettlestate Astro Call of Duty Championship is nearly upon us. Registrations recently opened for the R50,000 South African tournament. The first matches will be coming your way on Monday the 30th of July over on Twitch from 19h00. I managed to tear new caster Chantelle “Chani_ZA” Alexander away from her preparation to get some of her thoughts. Michael “axtremes” Harmse Which teams to you expect to make it through the qualifier? 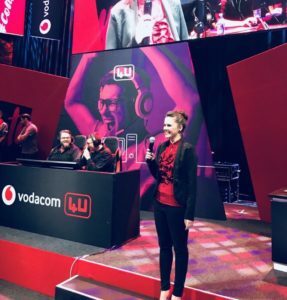 Chantelle “Chani_ZA” Alexander: Aside from mentioning obvious big names like Energy Esports and Bravado Gaming that will naturally progress, I’m really expecting big things from Ladon E-Sports. I’m hoping that they make it through the qualifiers. Their roster has real potential, especially considering that they’ve got a very long-running duo in Wxrthy and Ruthy. They’ve been together for a while across multiple seasons and teams. I chatted to Wxrthy recently and it sounds like he’s really hungry to prove himself. I have a feeling that’s going to be a team that makes it through qualifiers. I’m also expecting Intense to do some cool things considering their recent promotion to Premier Division in VS Gaming. I’m also excited to see how Elite Gaming do. They are a relatively new team that I think sprung up this year. I met the owner in a public game funnily enough. I’m hoping to see some of the newer teams do well. Who would you say are the current top teams in the country? It would be silly for me not to mention Bravado Gaming and Energy eSports when chatting about current top teams in South Africa. They have consistently been producing great results for the past couple of seasons. The kind of narrative for South African esports was always the Bravado versus Energy matchup until Bravado’s CS:GO team recently moved to the States. It’s no different for the Call of Duty scene. There have been some interesting changes for Energy when we talk about players. Those two teams are always really great to watch. It’s always an exciting matchup because they are evenly matched considering the talented players that they have and the roles they fill. Another team I’ll mention that I’m always interested to watch is Hi5 eSports. They’re managed by two of the veterans in the CoD community, being Drewski and Era. They were the second place for the MAG Cup at rAge 2016 during the Black Ops 3 season. I’m expecting great things from Hi5. They dropped out of the season last year, but it looks like they are back with a vengeance this year. Hi5 have the potential to upset the Bravado and Energy applecart a bit if they put the hours in. Which players would you recommend fans keep an eye on? These are the guys that are going to pull off the exciting plays and the outrageously skilled displays. The top performers. As far as fan favourites go, Bravado’s Lithium is right up there as one of the players to watch. He’s the captain for the BVD side and is a really talented CoD player. He’s an all-round nice person which is great, but when it comes to CoD he’s got a lot of insights and has plenty of those wow moments. By that I mean when you ask yourself how he managed to pull that off. 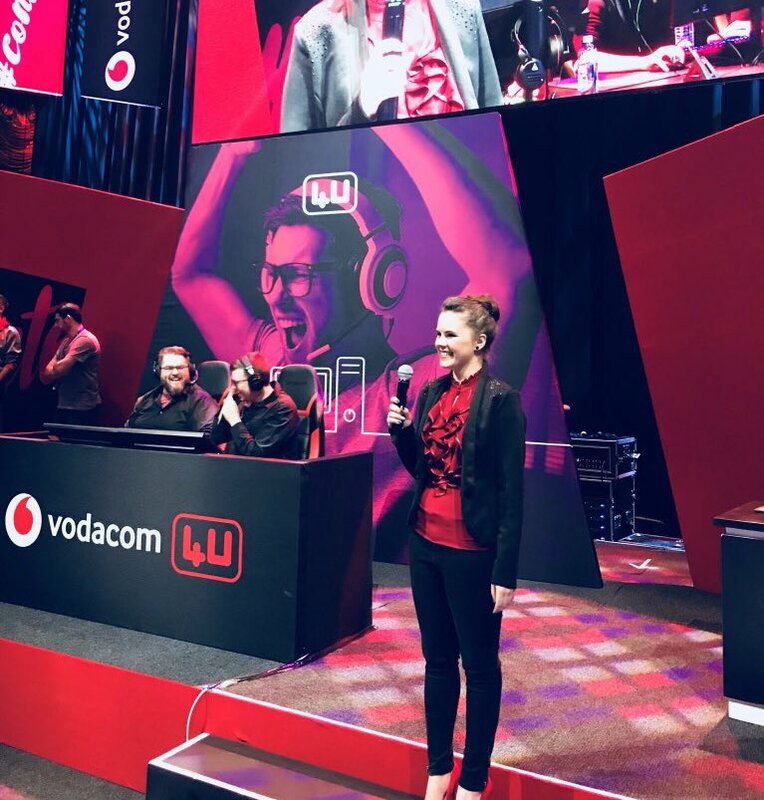 Chani recently hosted the Mettlestate Vodacom 4U CS:GO tournament at Rush. Image courtesy of Chani_ZA. I’m excited to see what Kohvz brings to the table for Energy. He’s always fun to watch. He fills that slayer role really well and is always getting those massive plays for the team when he duos with players like Frosty. Kohvz is always hyping his team up. I remember him getting so hyped at EGE last year that he actually fell of his chair during the Grand Final. Definitely one to watch considering that when he’s in that kind of zone, he and Frosty are practically unstoppable. I’m also really excited to see what Heroz brings considering he’s just been picked up by Energy. Heroz has the big shoes of Dreamzy to fill and it’s going to be interesting to see how the team does with their new addition. Dreamzy was on the roster I think for two years, so it will take them some time to adjust to Heroz. Outside of Energy and Bravado, Hi5 Enigma is a really cool young star to keep an eye on. He’s a Sub player that is looking good. What’s your favourite game mode and map in WWII? We have three game modes: Hardpoint, Search & Destroy as well as Capture the Flag. SnD is the closest thing to CS:GO. To play, personally I enjoy Hardpoint. To watch, I have got to say that I enjoy a good old Search & Destroy on a map like Saint Marie. This map is always one of those that seems to have the really interesting plays happen on it. In Hardpoint I really enjoy playing London Docks. In CTF, as much as I hate to admit it, Flak Tower. Even though it’s my least favourite map to play in the game it’s the best CTF map competitively. How has the preparation and practice been going for your Mettlestate casting debut on 30 July? My co-caster Jason “Beyond” Louw is the perfect ying to my yang as summarized by Sam Wright in her piece for Redbull. I’m used to bringing a friend to a LAN and explaining esports quite regularly, so I summarize things well. I’m used to making it more accessible to the uninitiated. Whereas he, as a Pro player, has a more analytical approach. I feel that I can explain and dumb down things. Not everyone on the stream is going to be familiar with Call of Duty, especially given that the Mettlestate audience is very CS:GO orientated. We have three games modes and two of them are respawn. I can summarize them a lot better than I’ve found the pro players manage to. I’ve put in a lot of practice. I want to give a shoutout to VS Gaming, considering that they’ve given me the opportunity to cast some of their games offline for practice. It’s really tough to find a scrim when you’re trying to keep your casting practice on the down low until it gets officially announced. VS were happy for me to cast offline games. I really appreciate that because the practice has been great. There’s also been a lot of long nights of watching CWL. I’m excited to sit in that DXRacer chair in the Mettlestate studio and get to show the rest of the country what myself and my co-caster can do. Do you have anyone you’d like to thank or give a shoutout to? Naturally, thanks to Mettlestate for providing a tournament like this. Thanks to Astro, Activision, Megarom for coming on board. It’s going to be a really interesting thing for the growth of the community. Thanks to my co-caster Beyond. Also to the people that have helped me get to the casting level that I am at. I had some great help from Brad Cherry before he moved to the UK. I’m really excited to see you guys in action next week! Header image courtesy of Chani_ZA.